The Sioux are a large group of people collectively identified under the broad name “Sioux.” The term can refer to any ethnic group within the Great Sioux Nation or any of the nation’s many language dialects. Today, when referring to themselves within the group, the people prefer the terms, Dakota, Nakota, and Lakota—as these reflect the group’s different dialects, regions, and economies. The Santee or Eastern Dakota resided in the far east of what are now the Dakotas, Minnesota, and northern Iowa. The Nakota or Yankton (Yanktonai) inhabited the Minnesota River area of present-day Minnesota, South Dakota, and Iowa. The Lakota (Lakȟóta) are the western-most Sioux group who inhabited the Northern Plains of South Dakota and Wyoming. Prior to European contact, the Great Sioux Nation was composed of seven major divisions, the Oceti Sakowin, or Seven Council Fires. The different groups stayed in contact with each other, no matter the distance. And each group’s lifestyle was ideally suited to their climate, no matter the changing seasons. The entire nation came together annually for their religious and social gathering in the Black Hills. It was a time for families to intermingle, for the various leaders to meet, and to participate in the Sun Dance. The Black Hills of South Dakota hold a strong religious significance for the Oceti Sakowin—and Lakotas in particular as they are the chosen caretakers and protectors—because the hills are considered the traditional birthplace of the Sioux Nation. The last meeting of the Seven Council Fires was in 1850. The Sioux had encounters with French traders and trappers near the confluence of the Mississippi and Missouri rivers, as early as 1660. As trade moved up the Missouri, the alliance grew stronger—goods (such as firearms and housewares) were exchanged, and intermarriage occurred. This also happened with American traders reaching its height 1825 – 1835. As Euro-American expansion continued, the Great Sioux Nation lost control of its territories, treaties were made and then infringed upon by settlers, and conflicts between the two cultures escalated. Red Cloud’s War (also referred to as the Bozeman War) was an armed conflict between the Lakota and the U.S. Army in Wyoming Territory and Montana Territory, 1866 – 1868. The war was fought for control of the Powder River Country in north-central Wyoming (east of Cody). The war is named after Red Cloud, a prominent Oglala Lakota warrior and leader who led the campaign against the U.S. government following encroachment into the area by the U.S. military. The war ended with the Treaty of Fort Laramie in 1868. 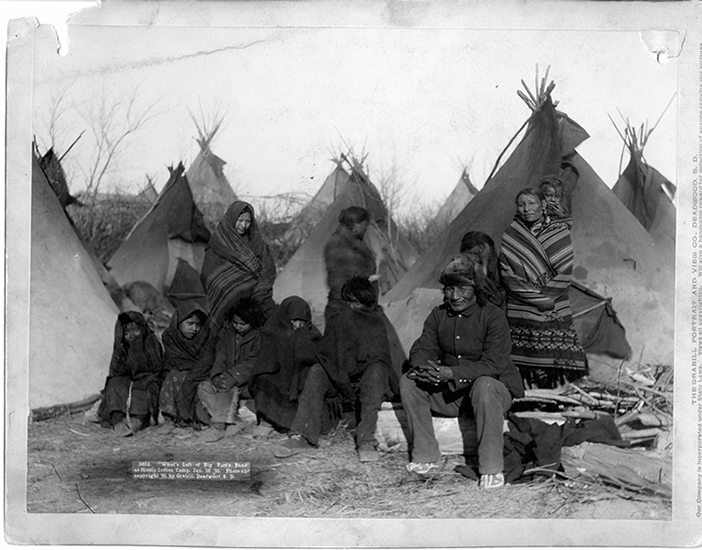 The Lakota victory in the war led to their temporarily retaining control of the Powder River country, and abandoning the Bozeman Trail between the North Platte River and the goldfields of Montana. The most famous battle was the Fetterman Fight near what is today Story, Wyoming, directly east from Cody across the Big Horn Mountains. The U.S. government ceased making treaties in 1871. But when gold was discovered in the Black Hills (within negotiated Sioux reservation boundaries), federal authorities attempted to purchase the sacred area. When negotiations failed, a document was pushed through an unrepresentative gathering and the Black Hills were withdrawn from the Great Sioux Reservation. This treaty violation is still an ongoing dispute, and the Sioux Nation has refused any monetary payment. 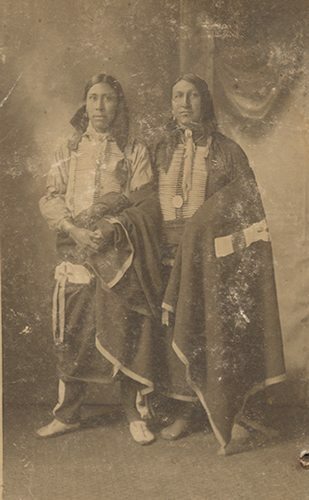 “My intention was that my children should depend on these hills for the future… I think those hills extend clear to the sky-maybe they go above the sky, and that is the reason I ask for so much.” –Red Cloud, September 25, 1875, referring to the Black Hills during negotiations with the Commission of Indian Affairs. 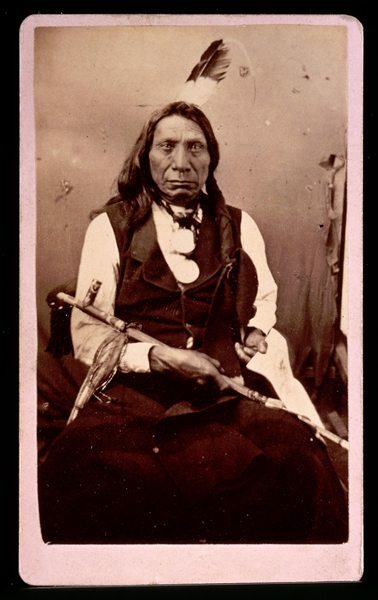 Later in his life, Red Cloud supported peaceful negotiations between the Lakota and the U.S. government and campaigned for Indian rights as tribes were confined to reservations. The Great Sioux War of 1876 – 1877 comprised a series of battles between the Lakota and allied tribes like the Cheyenne and Arapaho against the U.S. military. The earliest engagement was the Battle of Powder River, and the final battle was the Wolf Mountain. Included are the Battle of the Rosebud, Battle of the Little Bighorn, Battle of Warbonnet Creek, Battle of Slim Buttes, Battle of Cedar Creek, and the Dull Knife Fight. 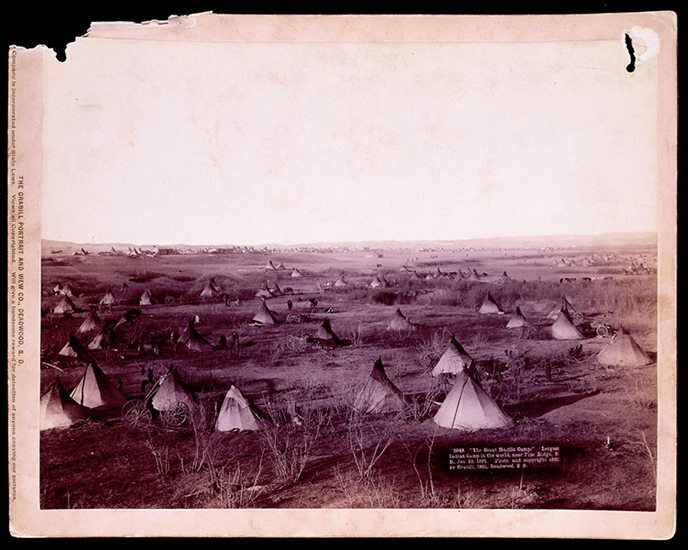 The Great Sioux War also was known as the Black Hills War, and was centered on the Lakota tribes of the Sioux Nation, as well as the Northern Cheyenne tribe. The series of battles occurred in Montana territory, Dakota Territory, and Wyoming Territory, and resulted in a victory for the U.S. military. 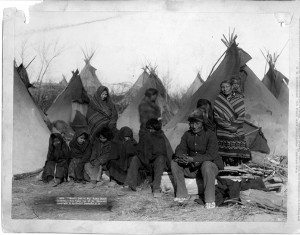 By January 1876, all the Lakota were ordered to relocate to established reservations. Some complied and others resisted (most notably those under the leadership of Crazy Horse and Sitting Bull) and remained at large until forced to return to South Dakota following their confrontation after the Great Sioux War. 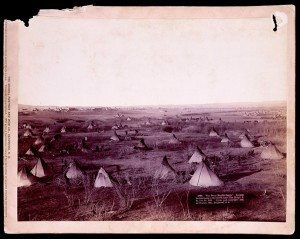 On December 29, 1890, the Seventh Cavalry armed with seven Hotchkiss guns, attacked Big Foot’s Ghost Dance encampment on the Pine Ridge Reservation, killing more than 300 men, women and children. It was called the last major conflict between the Lakota and the U.S. government. Another incident at Wounded Knee occurred in 1973, when more than 200 Oglala Lakota and followers of the American Indian Movement (AIM) seized and occupied the town of Wounded Knee, South Dakota. The protest followed the failure of an effort of the Oglala Civil Rights Organization (OSCRO) to impeach tribal president Richard Wilson, whom they accused of corruption and abuse of opponents. Additionally, protestors attacked the U.S. government’s failure to fulfill treaties with Indian peoples and demanded the reopening of treaty negotiations. Today, the Sioux maintain many separate tribal governments scattered across several reservations, communities, and reserves in the Dakotas, Nebraska, Minnesota, and Montana in the United States, and also in Manitoba and southern Saskatchewan in Canada.